Reputation is a function of stakeholder perception of a company’s integrity and efficiency, derived from many sources, such as customer service, employee relations, ethical conduct, and environmental practices. So, while it’s important to align the interests of society with that of the business concerned, it is also necessary for the interest of the company itself. We can think of reputation entailing the following three factors. These three factors need to be aligned for building and maintaining a company’s reputation. For instance, if a pharmaceutical company identifies itself as a leader of medicine for the treatment of HIV (identity) and the customers approve of it (image), then there is harmony between image and identity. Reputation management is responsible for safeguarding and further strengthening this harmony between image and identity. For success in dental practice, you need to accomplish three things. Online presence: This means your practice needs to be found on Google search results, which is the largest search engine in the world. Customer engagement: The prospective patients need to see content about your practice that encourages them to make an appointment with you. Building and maintaining an online reputation: You need a simple process to monitor and protect your online reputation. This means you need to keep vigilant and know what is being posted about you online. You also need to have a plan to protect yourself from being vulnerable to negative reviews. Today, prospects are more informed than ever before. They are often aware of your products, services, and overall dental practice before they even step inside your office. Thanks to the penetration of the internet, patients today can search online for the information. Research found that 51 percent of consumers searched for dentists via search engines. Due to this, it is important for dentists to actively engage in reputation management. Your online presence goes hand in hand with reputation management. Make sure you have an active and well-designed website which can be found when potential patients search for their dental queries online. You can also create accounts on all the websites that are applicable to your dental practice. In addition to the popular social networking platforms like Facebook, Twitter, and Google+, be sure to include review sites such as Yelp and Google My Business. The goal is to bring your practice in front of prospects who are hanging out across various platforms. Once you have your dental website and online accounts, you need to make sure you list your practice on Google Maps. This makes it easy for potential patients to locate you and make an appointment. Google Maps can drive new patients to your office every single day. But in order to make it happen, you need to make sure Google can find your dental practice when patients go on a search. Listing your practice on Google Maps is just the beginning. If you want to dominate Google Maps, you need to claim more than just your Google My Business listing. 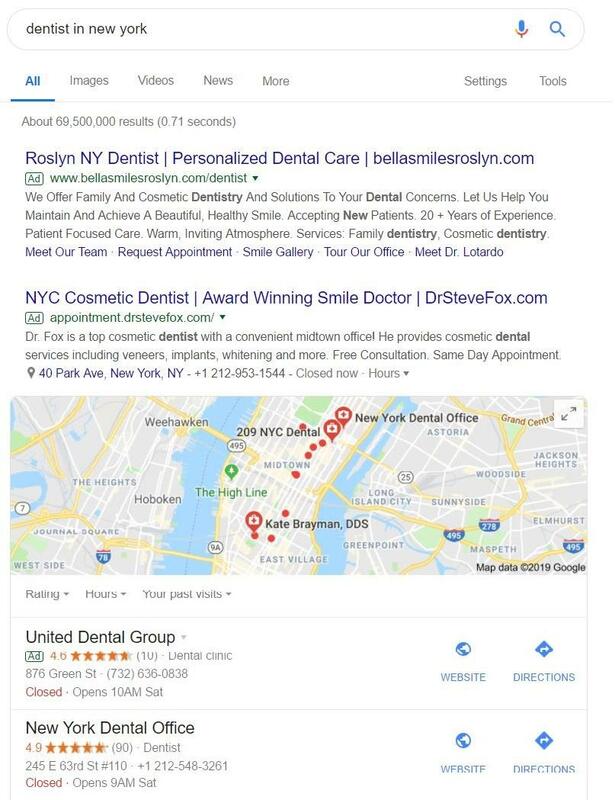 Prospects search for popular search terms like “dentist near me,” or “top-rated dentist,“ mostly on their mobile device, and Google Maps shows them the dentists close to their location. Google suggest that 4 out of 5 people used search engines to conduct local searches. 88 percent of the searchers used smartphones. If you already own your Google My Business listing, verify it and get live on Google Maps. If any of this info is inaccurate and inconsistent, it can negatively affect your ranking and Google Map presence. Add an attractive logo and eye-catching cover photo. Some practice photos and a video would be exceptional. Reviews not only help you dominate Google Maps but also maximize your reputation. Make sure you provide direct links to your patients to make it easier for them. The free and easy days to rank higher for local SEO for dentists have long gone. You need to advertise your website to increase visibility on Google Maps and get your practice website rank higher. Take a look at how dentists dominate the local search results. Dentists now need to advertise their practice on Google and Google Maps to keep pace with the local competition and grow their practice. It is the job of paid search professionals to get similar results for their clients. To build and maintain a good reputation, you need to constantly share content with an audience that meets their desires and needs. Make sure it engages them and convince them to make an appointment. Monitoring online conversation is equally important to get valuable insights about your practice. It is essential to know your patients and see what they share online. Knowing this can alert you to their issues and negative experiences they may have had with your practice. It allows you to address those problems timely. It is also imperative to monitor your competitors online. This can give you valuable information about your competitors, what they are doing successfully and how you can improve your practice. Reviews play the most important role in building and maintaining an online reputation. Few things in today’s world are as important to businesses as online reviews. Potential patients trust reviews and follow them with multiple review sites to decide which practice is the best choice. 84 percent of consumers trust online reviews from strangers as much as recommendations from people they know. Reviews alone are not sufficient as most of them are low rated. You need to procure top reviews from consumers. You need to respond to reviews and customer feedback. Try to address their concerns and if you think it can’t be addressed immediately, take the conversation off the online channels. A negative review posted by an unknown across any platform can devastate your practice. Responding to a patient’s reviews and feedback demonstrates that you care about your patients and value their input. The nature of the patient’s comments will determine your response to their reviews. Keep an eye on the type of reviews your practice receive. Negative reviews indicate that there are recurring issues within your practice that need to be addressed. Analyze each negative review and determine if it was a one-time incident or part of a recurring issue. Take note of the positive reviews as well and see what your practice is doing right. Determine what your patients appreciate about your practice and continue to serve them to meet those standards when they return. Patients leave reviews because they feel passionate about their experience with your practice. Their experience can be either positive or negative. Put the positive experiences to your advantage of positive by asking your patients for online feedback when they leave. On the other hand, if you are aware of a negative patient’s experience, do everything within your power to resolve the issue before they leave and review your practice online. Chances are that the patient may still mention the negative experience but will also declare how the practiced cared to resolve the issues immediately. How to Get More Reviews for Your Dentist Office? Knowing the review acquisition tactics are necessary to see growth in the number of patient reviews. Some tactics can help you skyrocket your reviews without spending a lot on review collection. A simple and obvious way to generate testimonials is by asking patients for online reviews. Statistics reveal that 74 percent of customers who were asked for a review, 68 percent were willing for it. An email campaign is a simple way to ask patients to review your practice. Asking patients via email is relatively inexpensive but mighty effective. 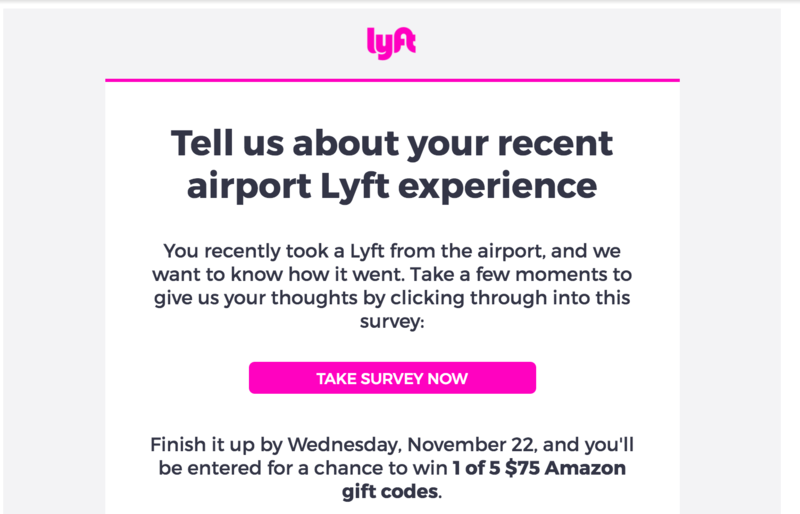 For example, the ride-sharing company Lyft asks customers to review them after they have taken a trip. If you have a considerable following on social media, you are in great position to ask patients to review your practice. Most of the people scrolling through social media will take out the time to review you, especially if they had a positive experience with your practice. There are various websites where you can increase your exposure and monitor online reviews. Yelp is an important site dedicated to providing reviews of all sorts of businesses. Many dental practices seem to ignore the importance of Yelp. A survey found that 51 percent of dentists allow Yelp review pages of their practice to go unclaimed. Failing to claim your Yelp page can result in loss of crucial reviews from satisfied patients. Google My Business is another site for reviews. It’s a social media page which allows people to post reviews, compliments, and recommendations of businesses. There are millions of people whose feedback can play an important role in your dental practice. It also allows you to interact with patients more in-depth compared to sites like Yelp. Currently, 45 percent of dental practices have not claimed their Google+ page. There is an enormous possibility to interact with patients and potential patients by joining Google’s social network. Facebook is, without a doubt, the most visible and interactive platform that millions of users visit on a daily basis. People use Facebook to discuss nearly every facet of their lives, sharing details and events with their online friends. Facebook can be effective to garner positive reviews about your practice and interact with potential patients. 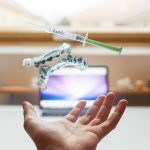 With so many review platforms and dozens of dental review sites that house reviews about dental practices, it may get difficult for the dentist to manage their online reputation. However, software developers have come up with solutions for this critical piece of a dental practice’s marketing strategy. Consider the following resources and select the one that works best for your dental reputation management. Doctible is a healthcare platform that engages patients and automates back-office workflow. It helps private practices and health systems in continuous growth. BirdEye has a microsite with all your reviews on it. The BirdEye dashboard allows you to manage all your reviews effectively and respond to them. The mobile app further makes it easy for you to manage reviews. Social Review Wizard automates review requests and offers centralized review management, and a single spot for all your reviews. Although it isn’t a dental specific platform, the small business offering makes it an affordable option for dentists. Rave reviews is a software specifically designed for dentists, but it can be used for other industries too. The Five Star Review System simplifies the task of reviews and referrals. It allows a reviewer to send their reviews to multiple sites at once. Reputation loop allows you to manage your online directories in one place. It also offers Integration with various practice management software programs. Reputation management is as important for dentists as it is for any other business. Because we live in the digital age, most people are looking for your practice online, and your existing patients are leaving reviews. This is why it is essential that you look at all the aspects of reputation management and devise a plan that can help you solve problems tactfully. Remember that reputation management is an ongoing process and you’ll need to work on it even when things seem to be going in a flow. For more information on how we can manage your online reputation, contact us today.